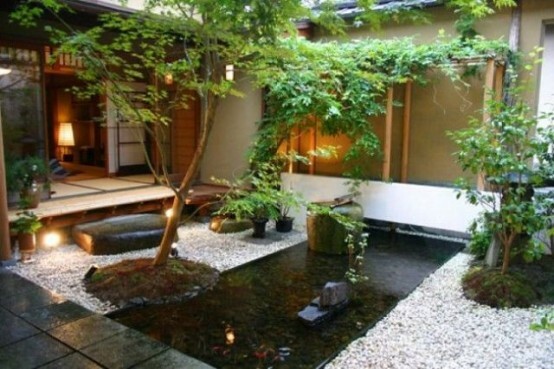 Japanese décor is known not only for its rich history and traditions, not only for its stunning minimalism and a talent to show beauty in simple things but also for how amazing Japanese designers manage to mix modern home décor with nature. 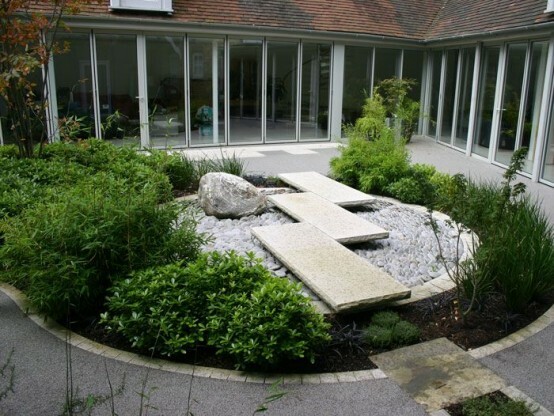 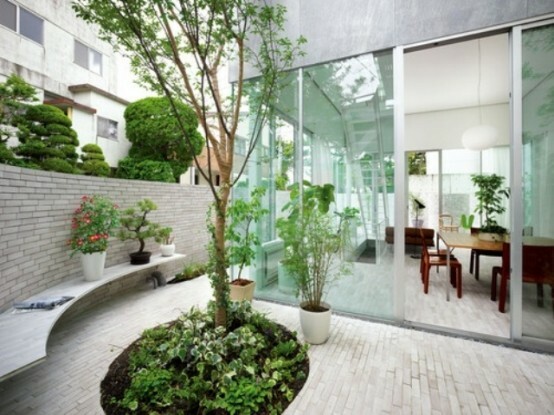 Look at these inspiring courtyards! 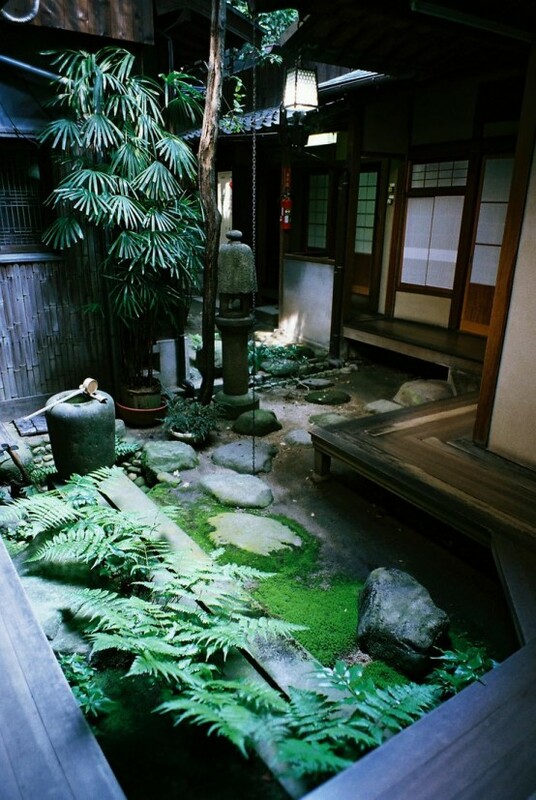 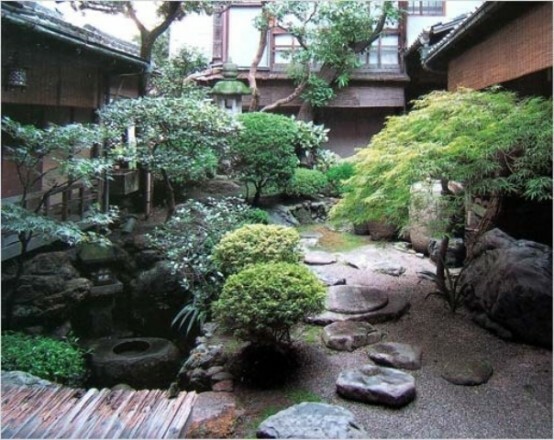 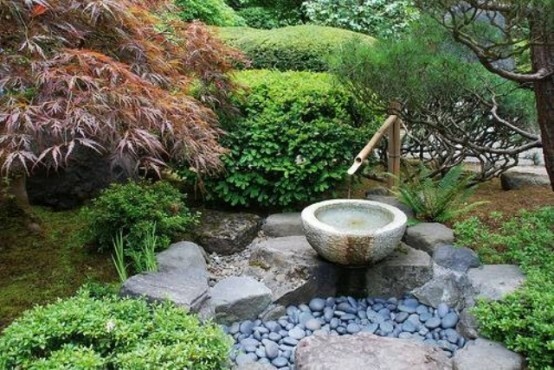 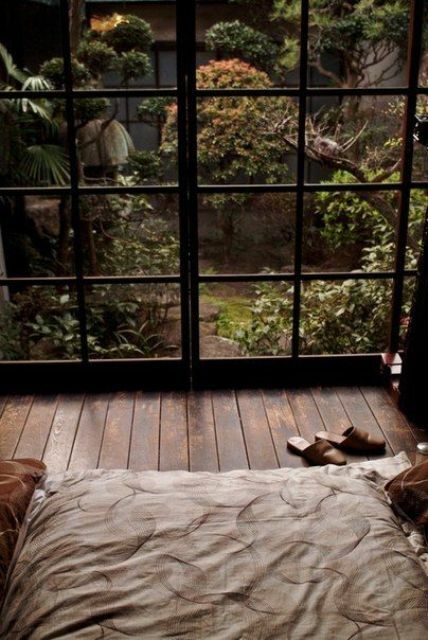 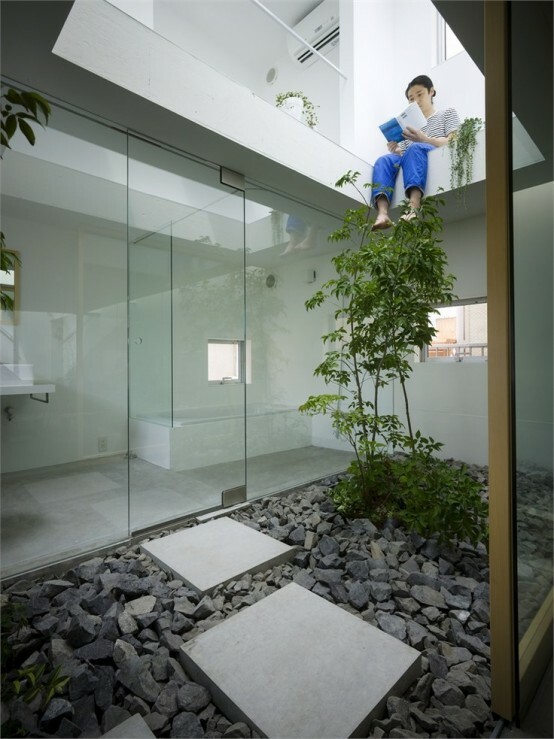 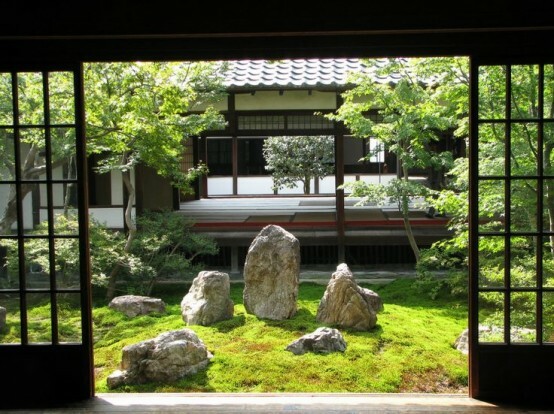 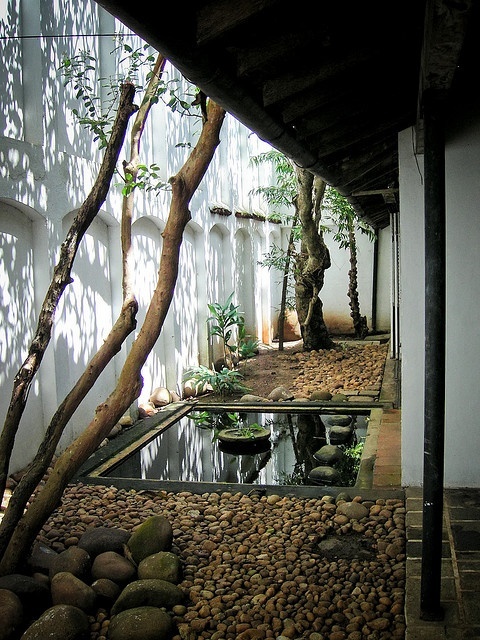 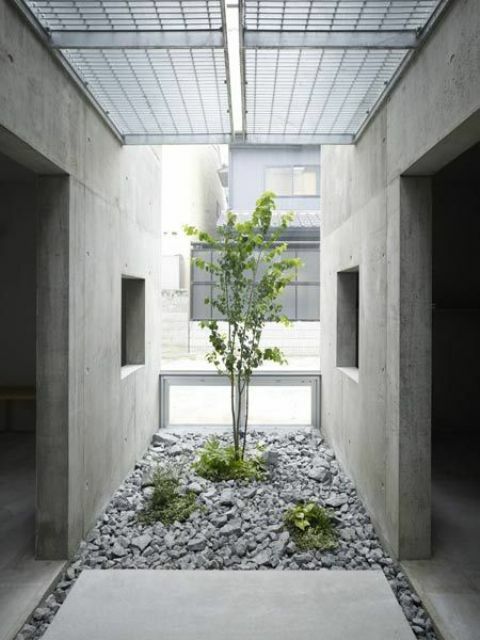 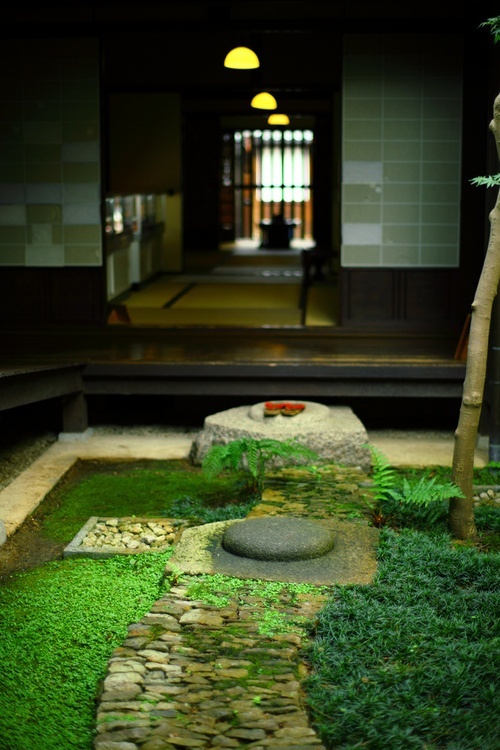 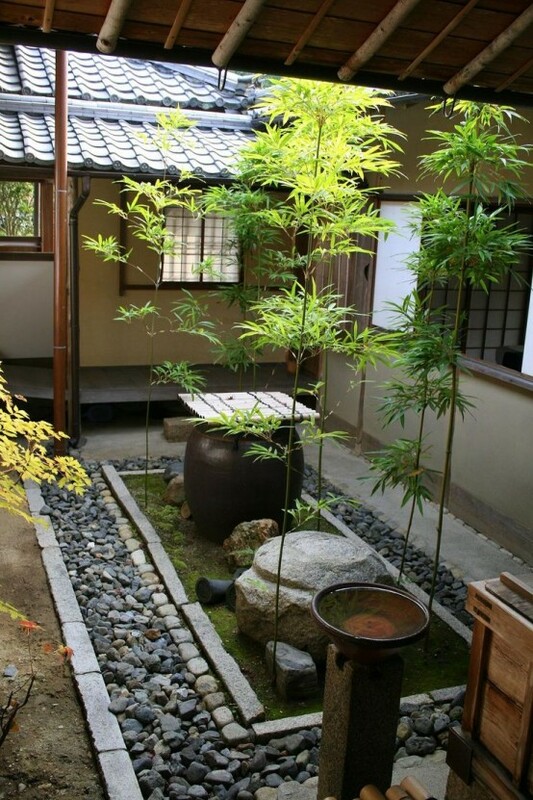 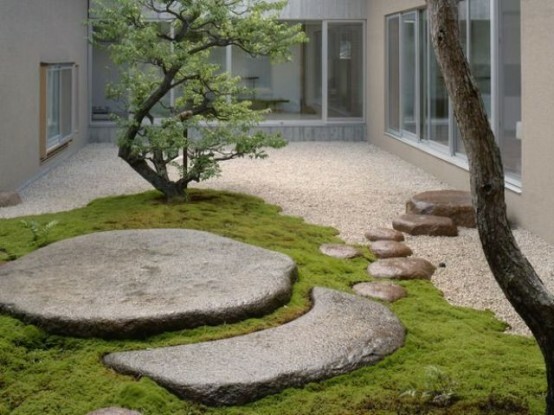 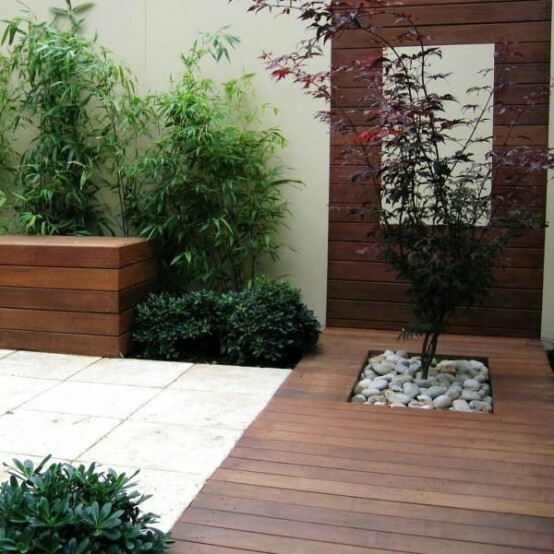 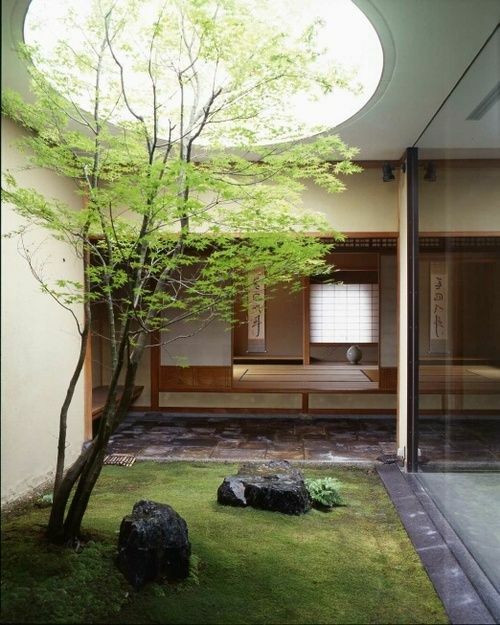 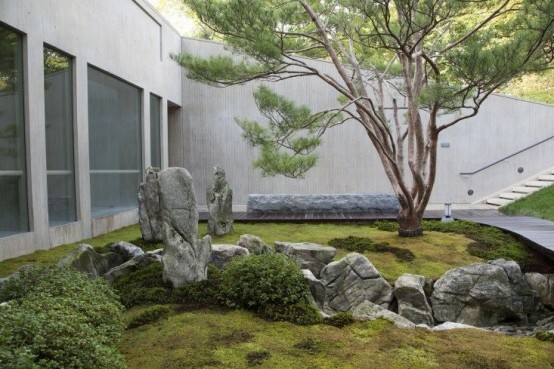 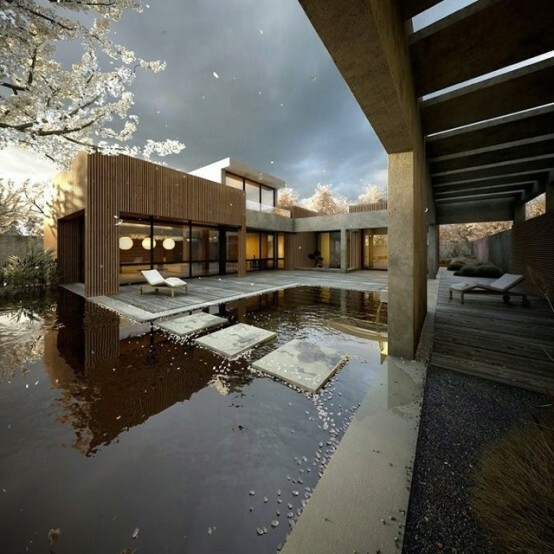 Traditional Japanese gardens and courtyards mixed with minimalist surroundings look amazingly harmonious and relaxing. 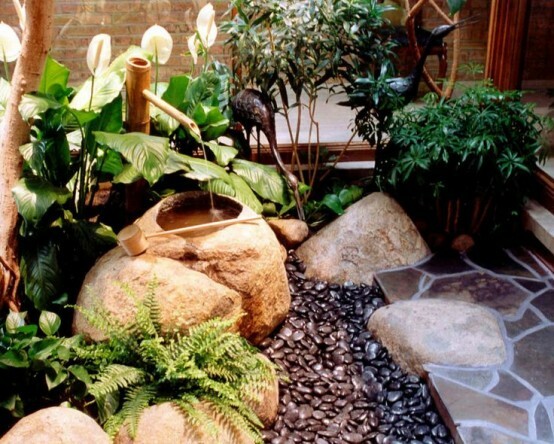 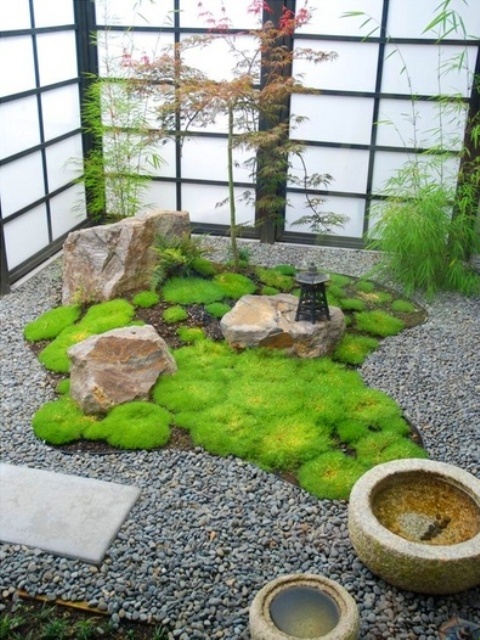 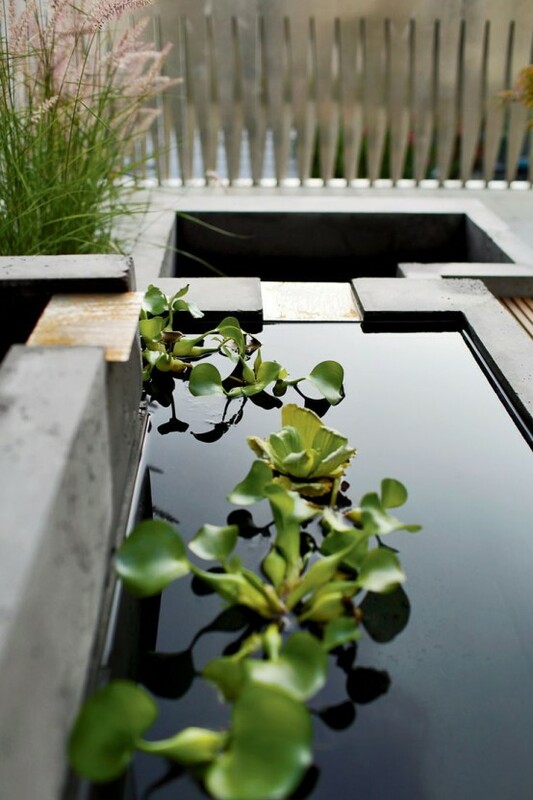 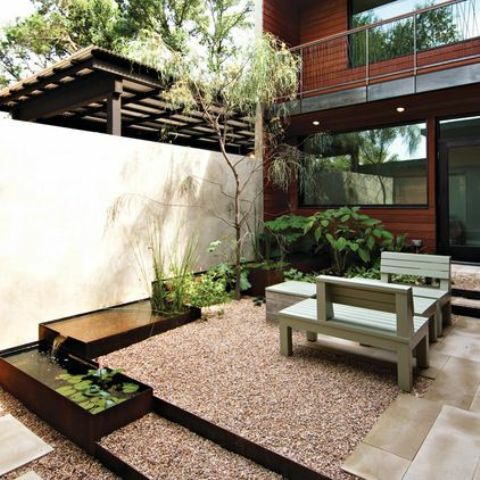 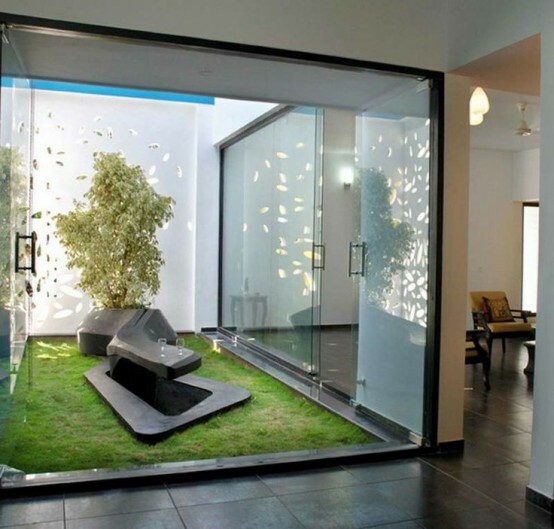 Moss, ponds and grass with a bamboo fountain seem a relaxing oasis in the minimalist homes. 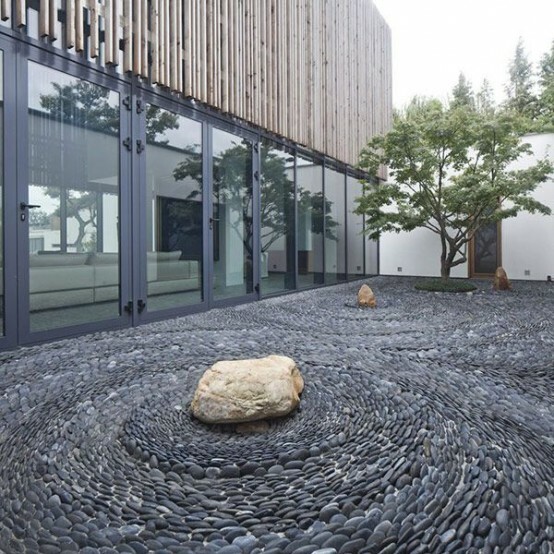 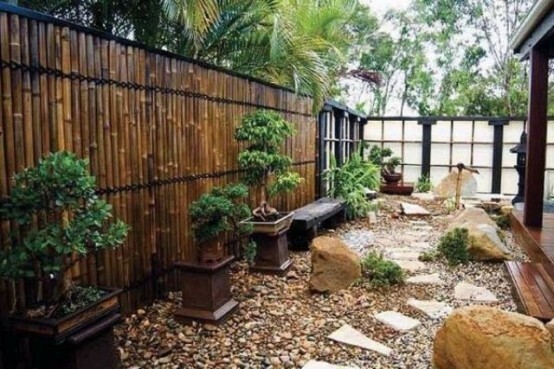 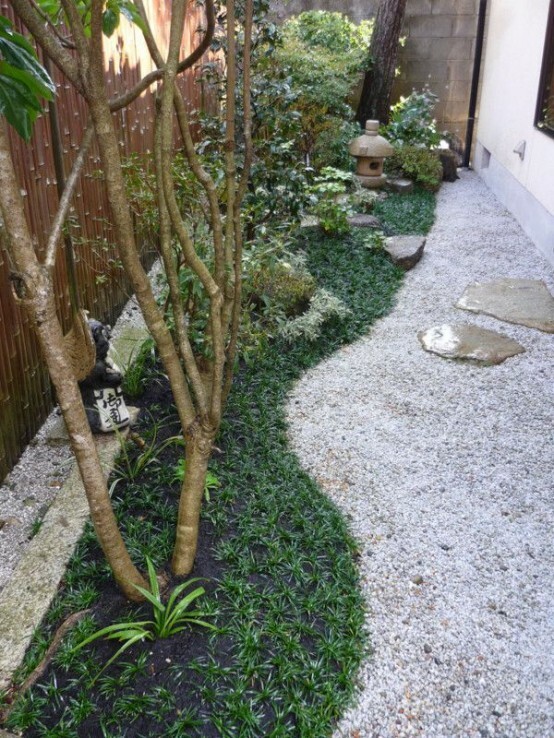 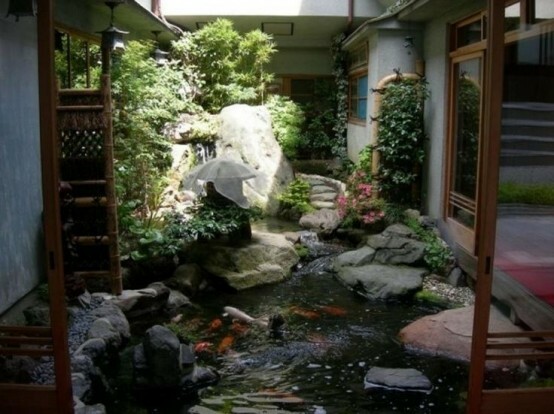 I was always surprised how such a piece of nature merges with modern design, and if you too, enjoy the examples below and create your own Japanese-inspired courtyard at home!